“Of course, some improvement is expected when one flies all the way down there, but I would have never dared to dream that we would have such huge success”, said Liam’s mother Kerstin as she spoke with the Tips editor. The Weingärtner family spent two weeks in Marmaris, Turkey. In addition to Liam and his parents Kerstin and Gernot, three-year-old sisters Celina and Eliana as well as their grandparents joined the party. Grandma and Grandpa wanted to be part of the support team and paid their own way. 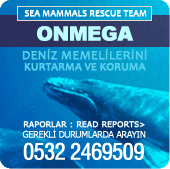 The big family stayed at a barrier-free hotel in Marmaris, quite close to the Onmega Dolphin Therapy Center. 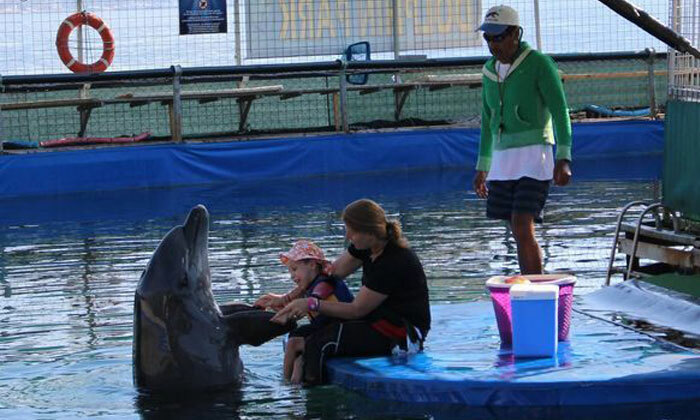 Every day started early for Liam and his mother; they rose at 6:00 a.m. so that they could join the dolphins right after breakfast at 8:40 a.m. One dolphin therapy session lasted 40 minutes and, after a break, was followed by physio and cranio-sacral therapies. Around noon, mother and son rejoined the family at the pool. The afternoon was free for the family; “the children slept alot because of the heat”, said Weingärtner about their days in Turkey. “For us it was quite exhausting, really not a vacation, but that’s OK ”, the three-times mother summarized the experience. She is overjoyed that Liam’s therapy was so successful. His hand coordination is very much improved, now he always tries to grasp for something. His spasms have also diminished and he tries to speak mor often. We can see the improvements to his trunk stability because now we can practice sitting up unassisted and also the all-fours position. It’s in the little things that we notice how Liam’s self-confidence has also been strengthened.